Tax always comes into play in almost every facet of the business. We can help you avoid surprise losses related to tax with our tax planning and preparation services. 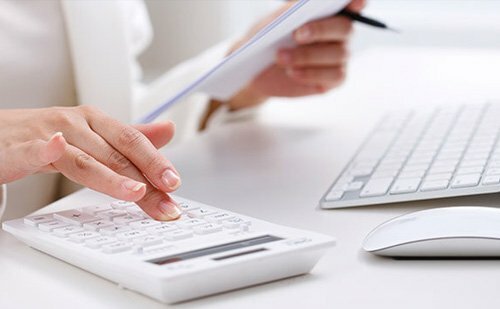 Our team of accountants brings a unique approach and enthusiasm to ensure the needs of all our clients are met through the highest quality of service. We believe numbers without meaning are useless. Our mission is to become your trusted business advisor. Our Certified Accountants are passionate about your success. We provide expert accounting, tax, and advisory services to individuals and small businesses. JD Accounting optimizes business and tax costs using our years of experience and focused personalized service. Our experts are ready to minimize the costs associated with the payment of taxes by using absolutely legal, legitimate and effective methods. By maintaining your books up-to-date we can gather valuable information and run critical reports that will give you great insight into making the right decisions for your growing business. We are dedicated to providing professional service with the highest degree of honesty and integrity, and strive your needs. Accounting and Tax is a dynamic and fast paced industry which requires not only analytical ability, but excellent problem solving and commercial skills. For everything that has economic consequences, whether it is for a company, an individual or the Government - accounting and tax is relevant, as is the need for business advisers. "I have known JD for four years and I find he is always prepared to listen carefully to the customers concerns and needs. He approaches his work very carefully and with high level of dedication to accomplishing tasks correctly. I have always found his advice to be accurate and his calculations methods to be very reliable. With confidence, I would strongly recommend JD to any person or organization that is looking for a dedicated accountant." "Mr. Desai approached both mundane and challenging tasks with clarity, efficiency and cost-effective methodology, keeping my company abreast of current and possible tax law changes, providing strategic advice." "We strongly know that without the knowledge and forthright suggestions and critiques of JD Accounting Services Inc., we would not have been able to experience our high level of success." "Great Service! Very happy and can always get questions answered for both business and personal aspects." Our firm has been providing expert accounting, tax, and advisory services to individuals and small businesses throughout the country since 2007. © JD Accounting Services, Inc. All Rights Reserved.